EFF national chairperson Dali Mpofu has taken to Twitter claiming that there wouldn't be a state capture commission of inquiry if it wasn't for the EFF. In his tweet, which party leader Julius Malema retweeted, he wrote that South Africans would one day thank the red berets. "One Day South Africans Will Thank The EFF For Its Relentless Fight Against Corruption & State Capture In The Past 5 Years! Without Us There Would Be No Zondo Commission,The Zuptas & The BOSASA Brigade Would Still Be In Charge (sic)," the tweet stated. Referring to a BusinessDay report about a home affairs portfolio committee draft report, which found that former home affairs minister Malusi Gigaba's decision to grant the Gupta family naturalisation was "incorrect", Mpofu said the media would not remind South Africans who initially exposed the Gupta saga. On Monday the committee found that Gigaba erred when he granted members of the Gupta family early naturalisation, but did not recommend any sanctions. The committee recommended that the matter be taken to the Zondo commission of inquiry into state capture and that criminal charges be laid against Gupta lieutenant Ashu Chawla and members of the Gupta family "relating to false information submitted in their early naturalisation applications". Mpofu's tweet was not unchallenged. Some Twitter users claimed that the reason the party was able to "expose" such issues was because some of its members were from the ANC. "Because EFF comes from the ANC, you were once part of that corruption scheme hence you know everything," user @Makhoshi replied. And please don't forget that you all were part of ANC and corruption. Others took the opportunity to remind Mpofu about other matters the EFF was linked to, such as the VBS scandal. In 2018, the Daily Maverick published results of an investigation. 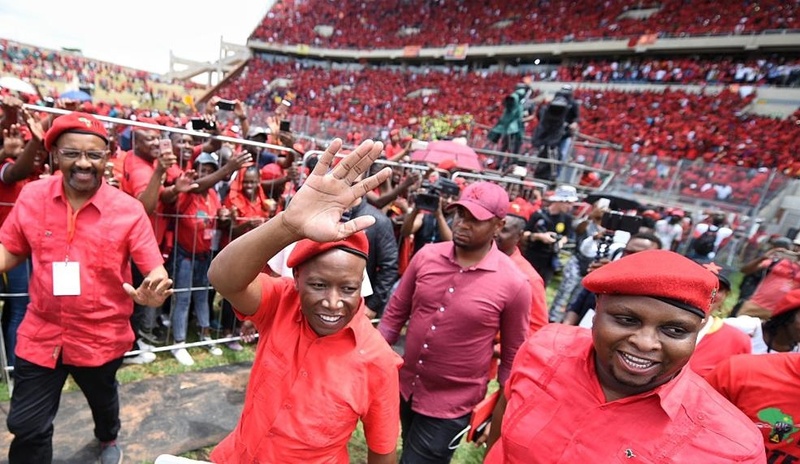 Malema, the party's deputy president Floyd Shivambu and the party itself were reported to have benefited from the wide-scale looting of the bank. The report revealed details of how money allegedly flowed from VBS to a company run by Shivambu's brother, Brian, called Sgameka Trading, and from there to another company called Mahuna Investments, a company linked to Malema. ??? ?How about your VBS looters?